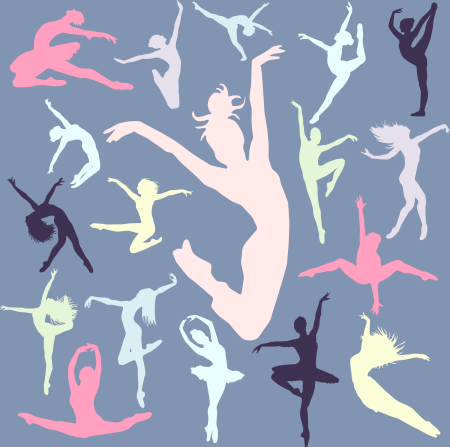 Dance is one of the most physically demanding activities a person can do. If you’re spending several hours every day taking class, rehearsing and performing, it’s important that you are physically fit so that your body can safely perform the physical demands you ask of it, and with the least risk of possible injury. Our Conditioning & Stretch class addresses these needs and by helping dancers get and stay in shape. Stretch class complements the training of the dance student. In this class, students will increase their understanding of their anatomy and dance alignment while increasing flexibility and strengthening their core, fee, turnout muscles, legs, back, and upper body posture. Students will focus on learning how to stretch correctly by releasing overall tension, releasing muscle tension, and relaxing the mind, while defining specific muscles groups. A stretch and conditioning class for adults focusing on core strength development through low-impact exercise, designed to tone up the body. Incorporates the use of the light weights, stretching, and across-the-floor work. Classes are easy to follow and held in a comfortable, non-competitive environment. A Ballet conditioning class for adults focusing on technique and core strength development through low-impact exercise and dance. Designed to tone up the body with basic Ballet moves as the base, On Fire Fit also incorporates the use of the barre, light weights, stretching, and across-the-floor work. A On Fire Fit workout is exhilarating and invigorating, and the effects are both immediate and long term. On Fire Fit improves cardiovascular endurance, promotes weight loss and improves body composition. Classes are easy to follow and held in a comfortable, non-competitive environment. See Tuition page for pricing for this class. Download the flyer for more information. A mat class that follows a set of exercises using the body’s weight for resistance. The emphasis is learning to control specific muscles during exercises using proper form and technique. Our weekly class provides consistent training and conditioning for people of all ages. 1 There is no prerequisite for this class. · Fee schedule NOT based on total TDC-enrolled hours of dance. See Tuition page for details.